If you are living with a disability, I am sure that you do not need us to tell you that you have to navigate all aspects of your life with this disability in mind. Each plan that you make and each place that you go has to be given an additional moment of consideration owing to your disability. Being handicapped however is not by any means a life sentence and you can still enjoy life to the fullest, in spite of your disability. One such area that can be tricky is deciding on a vacation spot for some much needed relaxation and we have put together a quick checklist of things that need to be considered before you decide on a location. The first thing to check for is that you are looking at handicap accessible hotels, it is vital that you focus solely on these hotels as they will be able to guarantee that your accommodation and the amenities in the hotel, fit in with your disability. Thanks to the internet there are many sites which allow you to search exclusively for these hotels, the perfect way to avoid any confusion. You should use websites like TripAdvisor and even Google Streetview to make sure that the surrounding area of your chosen destination or hotel, is friendly towards disabilities. This should include things like how flat the roads are, the range of cafes, restaurants and bars which support accessibility, as well as looking at the transport links that exist. If the beach is what you are after then consider how far away it is and how accessible it is from your hotel. 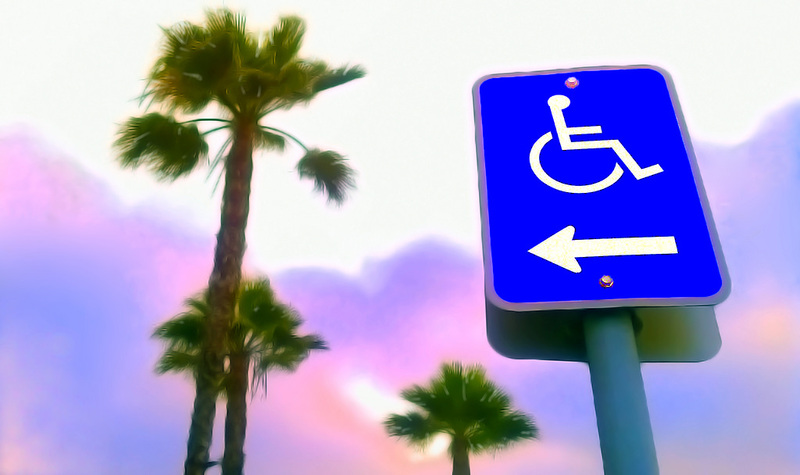 Some hotels think that simply making a doorway wide enough for a wheelchair, or offer a sizable elevator is sufficient in terms of being mobility-friendly but this is not always enough for those with a disability. You should also look into the hotel’s amenities to ensure that they too are designed with you in mind. What good is it to be in a hotel that you can easily get around, if you cannot get in and out of the pool comfortably! It is important that you use the internet to find places that other disabled people are heading to as well so that you can join up with a like-minded community. This is not to say that you can only go on these types of vacations but to be abroad, relaxing and enjoying yourself in a situation where you do not feel like the minority is a wonderful feeling. There is a huge amount of disabled communities and groups online that you can connect with to find yourself the perfect vacation spot. A vacation is about relaxing, recharging and enjoying yourself, for this reason it is important that you do not choose somewhere that is likely to cause you more problems in terms of getting around.